Be it evolving end-user needs—including more flexible spaces—bringing the outdoors in, or just adding in a touch of home, panache is winning the day when it comes to portals and porticos. Basix Headquarters Axelrod Design’s 2018 AIA SF Merit Award winner exemplifies a top 2019 door trend. The space is divided by fixed and moving glass partitions to provide for the perpetual movement and changing combinations of today’s flexible office. Thousands of CAD files in DWG and PDF formats, so you’re sure to find that detail you need. ARCAT.com provides the most comprehensive on-line resource for building product information. ARCAT has free tools for each phase and every member of your team. Enjoy the freedom on-line at ARCAT.com for FREE, and no registration required! TIP - add CAD or details to your search to get what you need even quicker! CAD, BIM, Specs, SpecWizard® and much, much more! Manufactured and installed, seamless, resilient floors offered in unique finishes, colors and one-of-a-kind handcrafted designs. From extraordinary lobbies to inspired meeting spaces, we take full responsibility for products and installation. Live | Learn | Work | Care | Play | Travel Outside Upfit is a modular outdoor system that supports the ways we work, learn, live and relax outdoors. Transforming underused spaces into valuable places, Upfit is designed to fit any project and budget, and make every place a destination. Designed by KEM Studio in partnership with StruXure Outdoor. Please contact your Landscape Forms representative or call 800-430-6205 for more information. Form by Mindi Zissman 433 Broadway, New York This unique building walks a fine line between historic form and modern function, visually blending into Manhattan’s historic SOHO district. Function by John Mesenbrink UNC Wilmington’s Center for Marine Science, Wilmington, N.C. Climate and geography had a significant impact on the design of the building. by Mindi Zissman 2019 Door Trends. Leave security for the hardware manufacturers, as style is in and door trends will focus on user experiences and flexible spaces. Basix Headquarters, Tel Aviv Trends in interior design include creating more usable experiences and adding more flexible spaces. Indoor space at Basix Headquarters is divided by fixed and moving partitions to provide the perpetual movement and changing combinations of today’s flexible office. Page 37. Smart building experts demystify IoT and identify and illuminate how technology streamlines today’s building design and operation. standard delivery or $94 for air mail delivery. All subscriptions outside the U.S.
are $94. For subscriptions, inquiries or address changes, call 630-739-0900.
in publication may be copied or reproduced without prior written permission of published without responsibility for errors or omissions. Architectural Products assumes no responsibility for unsolicited manuscripts or photos. Printed in USA.  Façade revamps San Jose office building.  Design a brand by creating a visual voyage.  Hotel draws neighborly inspiration. Specifiers’ Solutions  Brewpub mixes charm with Boston character. at Palatine, IL and additional mailing offi ces. 440 Quadrangle Drive, Suite E, Bolingbrook, IL 60440. Inspiration is Everywhere The need to create is an almost genetically imprinted trait curated by an intense desire to acquire knowledge. As architects, the arc of learning never really bends toward anywhere other than the place where you can find more information… about everything. information. Our new website at www.arch-products. Technology is also changing the way we impart information to our audiences. At the end of the day, we view our role in your professional life as being both inspirational and informational by showing how architects and firms have transformed design into completed projects. further efforts to ease commute times. hybrid automobile at the conclusion of the event. projects will be more efficient and data-driven, especially in retail where returning customers are most important. Once used primarily for cold storage, this versatile building solution is ideal for commercial/industrial projects. labor costs. It is also helpful to have an engineering department review the project to ensure the use of the roof panels fits the overall project design. It is important to follow the panel installation guidelines. Attractive and Efficient In addition to being practical, insulated metal roofs are also attractive and aesthetically versatile. IMPs come in a variety of designs and colors and are seamlessly integrated with insulated metal wall systems, as well as other wall assemblies. Building codes have become more stringent and now require an R-value of 19. IMP roof panels rise to the challenge. The polyurethane core comes in thicknesses of 2 in. to 6 in. IMP roof panels with 3 in. of continuous insulation meet the new building codes and offer a simple, comprehensive solution. Continuous polyurethane insulation boosts energy performance of the project for the life of the roof and does not have issues with compressed insulation points. The polyurethane core prevents thermal bridging for exceptional thermal performance. Installation Criteria IMPs can be installed either vertically or horizontally. With most manufacturers’ wall panels, the exact same panels are used for either orientation. However, there are key differences in how the supporting wall system must be designed to accommodate the panel direction. In addition, the details used to design and the labor used to install vertical vs. horizontal panels can be quite different. Let’s explore some of the similarities and differences in the two approaches. Vertical Applications Vertically installed panels typically offer the most cost effective and simple wall assembly. There are numerous panels available in lengths of up to 52 ft., offering the ability to install a single panel from base to eaves. When laying out the panels on a wall, the starting panel at the corner can be cut along its length so the first and last panel on a wall elevation are equal in size (width). Standard metal flashings are generally used to close off the cut ends and edges of vertical panels. Windows are usually installed to align with the outside plane of the structural framing and are therefore recessed (not flush) relative to the outside face of the panel. Typical wall framing systems for vertically installed panels involve the use of horizontal supports, usually light or heavy gauge girts. IMP roofs streamline the installation process because they are a onepiece solution. In 2018, Owens Corning introduced a formaldehyde-free version of its Thermafiber mineral wool insulation—the first in North America—to support architects interested in integrating materials that meet green building program goals, such as those in Sales Force Tower in San Francisco. Architects and designers are increasingly finding that a carefully crafted glass and solar shade solution for a school facade can increase daylighting, help reduce artifi cial light and energy costs, and increase occupant control over glare while maintaining exterior views. Case in point: Natural daylight was an important design element at the Drayton Mills Elementary School, Spartanburg, S.C. (left). High-performance shades and glazing played an integral part in the general wellbeing of the school’s students. have adopted version 90.1-2013, while 24 states have only adopted 90.1-2010 or less. In contrast, 11 states have yet to adopt state energy codes. With that, there are a variety of requirements for the prescriptive solar heat gain coefficient (SHGC) requirements. There continues to be a lack of awareness of and uncertainty around rated performance values for shade materials. To address this issue, professional organizations are now involved to provide additional validity to the performance of shading systems. The Attachments Energy Rating Council (AERC), commissioned by the Department of Energy, is working with Lawrence Berkely National Labs (LBNL) to create a viable rating, certification and labeling program for residential and commercial window attachments. Using the association’s website (www.aercnet.org), design professionals can access performance information and integrate it into their modeling tools in order to make true data-driven decisions about the entire fenestration system. Using free online software tools, such as LBNL Window, you can analyze just about any commercial glazing makeup, using the International Glazing Database (IGDB) in combination with a variety of shading materials from the Complex Glazing Database (CGDB). SIMPLIFY AND SAVE Hunter Xci Polyiso has rainscreen and cavity walls covered. For over 20 years, Hunter Panels has been delivering the absolute best insulation solutions. Thanks to the higher thermal performance per inch of Hunter Panels Xci polyiso continuous insulation, it is perfect for both rainscreen and cavity walls. Thinner insulation means thinner wall assembly, which equals easier installation with less materials and labor needs. Other Hunter Panels Xci polyiso insulation advantages include: • NFPA 285 compliance within a vast selection of wall assemblies • Simplicity of installation without special header detailing necessary with some other “ci” products • Compatibility with other materials within the exterior wall • Flexibility—can be used with separate WRB materials or can provide all-in-one air/water/thermal performance Our innovative products and exceptional support mean we will do “whatever it takes” to provide you with the very best. Choose the proven performance of Hunter Panels for your rainscreen and cavity walls. Choose Hunter Xci for your exterior wall insulation needs. Call us today at 888-746-1114. But First, Creativity In Product Developments, I lean on experts in their fields to explain the nuts and bolts of solving design problems architects face in the everyday quest for resilience, quality of life, equity and longevity of today’s new construction and renovations. Some solutions, when first imagined may seem over-thetop, like the design solutions in this month’s priority feature (p. 42), which illuminates technology as another critical piece of the design equation, as it increases operational efficiency, reduces redundancies in the design process and informs future iterations of building designs. I think it’s the hope of most designers featured here, that their innovations will help humankind to salvage our only habitat by reducing energy and water use, creating food resilience and discovering the potential of renewables, and that these innovations may come to serve all of society with equity and dignity. But the origins of solutions of this magnitude don’t just manifest out of the ether. They are a product of time devoted creative thinking and problem solving. However, creative momentum is hard to come by; according to IDEO’s founder, David Kelly, the majority of corporations are starved for creativity, innovation and design thinking. In fact, “nearly 60% of CEOs cited creativity as the most important leadership quality in an IBM survey, and creativity is the World Economic Forum’s top ten skills needed to thrive in 2020,” reports IDEO. I learned “brainstorming” from a young age, and it molded me into one of the 8% of Creator-Innovators among worldwide professionals and one of only 2% in Reporter-Advisors and Upholder-Maintainers, according to a TMP (Team Management Profile) I recently completed. I research, evaluate, write and advise of what should and can be done, while considering ethics. This ability to brainstorm, experiment, create and evaluate is a common thread among the projects and products in this department, and the winning firms and clients recognized by ASID’s Inaugural Outcome of Design Awards. Clearly, it is time for firm leadership to overcome a balance sheet that doesn’t attribute playfulness, experimentation and trial and error as a profit center. Investment in creative space is key for truly innovative solutions to manifest. Learn from firms like IDEO, and be inspired by these successful Product Developments’ design thinkers, who have overcome the financial fear factor and taken the lead in applying brainstorming and the scientific method to creative design thinking. Square House 360 modular system consists of a steel structure and concrete floors, and the design may be licensed to create an original custom design for any type of structure. construction across three blocks in the Netherlands. Debris from construction and demolition is one of the biggest waste streams in the world. In Europe, it accounts for approximately 30% of all waste generated. In countries like the United States and China, the percentage is even higher. There are many great initiatives in place around the world for recycling this material, but in practice they often lead to downcycling: building products that once had value end up as fill under roadbeds or in one of many landfills. Vast excavations often destroy landscapes and ecosystems; basic raw materials such as construction sand and high-quality clay are becoming scarce. Europe’s leading importer and distributor of organic fruit and vegetables, Eosta, Nature & More, feature mushroom waste-based brick in the main reception area and lobby of its new headquarter’s office in Waddinxveen, Netherlands. Hunter Douglas Ceiling and Wall Products division was acquired by CertainTeed Ceilings. Multiple Polyfab USA products comply with California Proposition 65 Labeling requirements. HNTB Corp. added a new region, a new operating division and named these presidents to its leadership structure: • Michael Inabinet, PE, Central Region, United States, a newly created region • John Friel, PE, Western Region, United States • James Thomson, PE, Northwest Division, a newly created division • Keith Hinkebein, PE, Design Build, providing alternative delivery services nationally. CannonDesign is included in Fast Company’s prestigious “Most Innovative Companies” list. 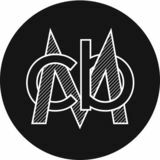  AIAS and Schindler Elevator have teamed up for the “Elevator Your Pitch” student competition to the AIAS membership for the third year. Students present their business ideas to a panel of judges for a chance to win a cash prize. Mark Lam, Ph.D., AIA, LEED AP, ALEP joined Pfluger Architects as Chief Operating Officer, a new position for Pfluger. LP Building Products announced its new name: LP Building Solutions. The wallcoverings are Cradle to Cradle Certified Silver, SCS Indoor Advantage Gold, free of PVC, chlorine, plasticizers, heavy metals, ozone depleting chemicals, with no topical finishes, extremely low VOCs, antibacterial, safely disposable, and have a responsible return program.  Lighting Science Group has launched Healthe, whose mission is to create environments where light is an active component of one’s health. Healthe’s technology is now being adopted as part of the standard for human-centric built environments. The Power of Art The LAGI design competition provides an opportunity for creative minds around the world to reflect on the nature of energy infrastructures and they can aspire to be in their built form. Masdar, in Arabic, means “source,” and refers to the sun as the “source” of power, that drives all things. The Land Art Generator Initiative was established in the UAE in 2008. For Sun Ray, at night, the luminous line presents itself to the dark as an ideological symbol of place—pointing to a prosperous and harmonious future. St. Kilda’s location in Port Phillip has always been special. The Boonwurrung people saw the bay as both resource and source, fishing its waters and respecting its life-giving potential. When the railway line reached St. Kilda in 1857, thousands of visitors poured in each year to sunbathe on the beach, soak in the sea baths, and later, ride the roller coaster at Luna Park. Today, arts and cultural resources draw in visitors worldwide. This exciting landform artwork weaves solar, wind, plant fuel-cell energy harvesting and battery storage into the landscape of the St. Kilda Foreshore. Flexible, ultra-high efficiency PV modules are supported by a lightweight tensile structure. The latter is made from a subset of cables spanning between the bridges and hotel, while the undulating surface form is achieved with cross-tension cables. Individual micro-regenerative dampers at each solar module attachment point harvest torsional energy from the wind. Additional regenerative dampers at the stainless-steel cable anchor points harvest tensional energy within each cable as it flexes. Plants photosynthesize organic matter, which is released into the soil. Electrochemically active micro-organisms break down the organic matter producing electrons, which are transported to the anode of the fuel cell. The energyrich electrons flow through a load to the cathode to generate electricity 24 hours per day. Sun Ray is a new symbol of renewable energy, lighting the way to the State of Victoria’s zero-greenhouse gas target. It is also a cultural attraction for Melbourne, an investigation of light as a physical and symbolic source of illumination for life. It is a place for relaxation—and it is a linear Fresnel reflector solar power plant that provides heat and electricity for hundreds of homes in St. Kilda. A round solar field of parallel flat mirrors reflects the sun’s rays and converges them onto the linear absorber of solar power—the fixed north-south receiver. This canopy is composed of linear mirror rows equipped with a single-axis tracking system to ensure that sunlight is always concentrated on the receiver. A power block below grade houses the equipment and support facilities necessary to convert captured solar energy into electricity, or deliver district heat to the city grid. The floating canopy overlays the park of the latest St. Kilda Triangle Masterplan, maintaining its topography and landscape while forming an open pergola which acts as a filter for light effects, air and atmospheric phenomena. Changeable light under the canopy creates a fluctuating space as the mirrors vary their inclination throughout the day. St. Kilda Halo invites the public to explore, experience, and have fun with the future of energy production. St. Kilda Halo is a dynamic new gathering place in the form of an iconic beacon. It is a forest, synthesized into an object, capturing sunlight with multiple layers of energy-producing foliage, and an interactive art installation that invites the public to engage with and celebrate the future of energy infrastructure. On an urban scale, the shimmering St. Kilda Halo connects local landmarks that define the intersection of Melbourne’s party, travel, fitness and beach cultures. Inspired by how nature gathers sunlight through layers of forest canopies, the lightweight artwork incorporates PV technology in an innovative, three-dimensional array. Layers of transparent PV foliage filter energy and provide lush, dappled shade for activities taking place underneath. In the forest, the high-level leaves are small, while low-level ferns have large surfaces, accommodating an increasing density of PV receptors. Arts and cultural resources, like the Palais Theatre and the annual St. Kilda Festival, draw in both locals and visitors from around the world. The Night & Day proposal would add to this legacy while producing clean electricity on demand using seawater and sunshine. The Hydro-Solar Generator works night and day, combining solar energy with a hydro battery to leverage the full potential of St. Kilda’s most abundant natural resources, water and sunshine. An inhabitable machine, the artwork takes the form of a pedestrian bridge linking the Esplanade and waterfront. Knitting together public spaces that have become fragmented over time, Night & Day connects the city to the bay, offering dynamic new spaces for gathering and observation. Suspended above the walkway are a solar sail and water vessel, exhibiting the generator’s transformation of sun and water into power. During the day, harvested solar energy is used to pump bay water into the hydro battery storage vessel, high above St. Kilda Triangle. As the sun sets, the water is released through a turbine, transforming the kinetic movement of water into electricity. St. Kilda Halo invites the public to explore, experience and have fun with the future of energy production. Tactile and demonstrative, its form mirrors that of the historic roller coaster at nearby Luna Park, and its energy output can be increased or decreased as necessary over time. A work of public art, and a power plant, the modular design also functions as a living laboratory that can incorporate new technologies as they evolve. St. Kilda Halo brings two of the most serious issues facing humanity—energy security and environmental wellbeing—to the forefront of conversation in an enigmatic and inspiring way. Visitors can experience the machine’s full diurnal cycle, watching renewable energy in action and deepening their understanding of the potential inherent in both St. Kilda and the larger natural world. Bridging Gaps in Urban Mobility Thyssenkrupp Elevator’s MULTI receives three new awards and launches a new skybridge research project at the Council on Tall Buildings and Urban Habitats’ Conference in the Middle East. Skybridges have existed for years but only recently have they moved well beyond simple architectural novelties. SHoP Architects have used them at the American Copper Buildings to create what Urban Hub has coined “cities in the sky” and now architects and developers are viewing them as a critical element to solve urban mobility. of skybridges to act as horizontal connectors to vertical towers as skybridges may soon become commonplace in the design or renovation of any dense urban tower. age interconnectivity between buildings, enabling advanced mobility, additional access to amenities, and enhance safety with alternative escape routes between skyscrapers. Thyssenkrupp and CTBUH will begin an 18-month collaboration to examine how skybridges might facilitate building interconnectivity. Specifically, the project will take a unique approach to overcrowding in cities by advancing mobility between high-rise structures. According to Urban Hub, thyssenkrupp’s futuristic cities publication, Smart Mobility keeps people moving in congested cities. Innovating smart mobility includes new mobile technologies and intuitive apps to integrate public transportation, better infrastructure and car sharing. Top 10 reasons why our customers choose SlenderWall cladding. How many of these will work for you? 1. A Turn-Key System – A complete one-source panelized envelope system, inside and out, from a 2” precast concrete exterior skin to an integrated heavy-gauge galvanized steel stud interior frame filled with closed-cell foam and ready for drywall. We can include erection, caulking, even factory-installed windows to complete a product engineered for new curtain wall construction, re-cladding, over-cladding, and even load-bearing projects. 2. Design Versatility – A vast selection of class “A” finishes and colors. Looks that mimic much higher priced stone and masonry products. Formed patterns, bump outs, reveals and detailing only limited by your imagination, including multiple finishes on the same panel. A good choice for applications from low-rises to skyscrapers, hospitals, hotels, offices, multi-families and more. 3. Structural Savings – At a composite weight of only 30lbs per sf (66% lighter than traditional precast) SlenderWall eases foundation, piling and structural needs, even crane requirements. 4. Speed of Installation – Larger panels, quicker connections, fewer weather delays, and an install rate of 2,000+ sf per day all lead to quick enclosure schedules. The integrated interior stud wall and insulation takes days off of project completion. 5. Reduced Site Impact – Off-site manufacturing with just in-time scheduling means less space and less waste, fewer deliveries and parked trailers. Plus less on-site man hours. 6. Durability – High-quality proven materials & components, resistant to corrosion, rust and damage. Stainless steel fasteners and dual reinforcement combining welded wire and moleculary-bound fibers designed to meet seismic and windstorm standards. 7.Thermal Efficiency – Our industry exclusive ThermaGuardTM connection system creates a thermal break and air barrier between our precast face and interior stud wall.The combination of factory-applied closed cell foam and on-site joint application provides for continuous insulation that meets IECC energy code and air barrier compliance. Lab tested to R-28, variable options available for your specific zone requirements. An effective choice as a LEED or Net-Zero contributor. 8. Fire Code Compliance – An ASTM E119 tested assembly containing NFPA 285 rated insulation, fire stops, and non-combustible components. 9. Risk Mitigation – A product with 25 years of field proven success, fully tested by certified independent labs to meet all current building codes. The quality assurance of controlled environment manufacturing. Water repellent concrete mixes and the availability of a unique caulking system, H2OutTM, mitigate any water issues. SlenderWall is built to pass the test of time. 10. Economics – Both up-front and long-term savings in materials, labor, time, and maintenance, even an additional 4” of perimeter floor space created because SlenderWall is designed to hang outboard of the floor slab. All this gives you more money to add to other parts of your project, or the bottom-line. To view more projects, download typical details, or to request a quote, visit SlenderWall.com or call 800-547-4045. Green Has a Backbone in Australia Southbank by Beulah is integrally organized by one big detail: a “green spine” of vertically networked platforms, terraces and verandas. Within the podium, a marketplace, retail and entertainment spaces and a BMW experience center are housed. The Marketplace Entrance is a permeable open space that invites both visitors and residents. The design of the two distinct façade types—a green façade and a glass façade—was subject to an optimized variation of architectural parameters based on height—low, middle, high. The spine is created by the splitting open of the potential single mass at its core, thereby forming two separate high-rise structures and causing them to reveal the almost geographical strata of their core layers. The design intent of the Green Spine is to bring healthy living into the vertical realm, offering spaces of active circulation, exercise and a multitude of conservatory-like spaces for occupants to live, work and play that foster human physiological and psychological comfort and stimulation. forest ferns provide a cool atmosphere. The construction of the spine uses materials and textures native to Australia, making the spine more sustainable. The façade plays a key role in implementing sustainability measures, starting from the massing. The northerly and westerly orientation of the self-shading Green Spine facilitates passive design on the upper exposed faces of the towers. The parameters varying throughout the building’s height are: depth/overshadowing, screen density and planting types. These inform the spine façade to assure thermal comfort, air quality, noise absorption and promote biophilia. The glass façade incorporates the balance of window-to-wall ratios, recessed balconies/ windows and external shading fins to limit heat loss and control solar gain. The building environmental strategy utilizes energy efficient and smart building technologies that exploit synergies between energy and water systems for resource usage. The development is modeled to be futureproofed and resilient against predicated climate change or shifts in work and lifestyle patterns. QuadCore™ protects against fire, smoke and ordinary design. Kingspan insulated panels featuring QuadCore™ Technology are designed to make you look good. Inside and out. For starters, the innovative cell formulation inside each panel provides superior fire resistance and unmatched health and wellness certification. Back that up with unrivaled thermal performance, a 30-year thermal warranty and enviable design flexibility, and you’ll quickly see how the QuadCore™ portfolio can help bring your design vision to life. Get the full details at kingspanpanels.com. Making the Case for Post-Occupancy Evaluations Part II Essential for verifying that a building is performing as intended and that the building occupants are satisfied, healthy and productive, post-occupancy commissioning is an important, yet often overlooked exercise. Trends 2018, technology, it noted, ranked at the top of many designers’ minds. That said, data is essential in this puzzle, and disturbingly, many architects interviewed noted most owners do not share data—or even have it to begin with. This second installment further explores postoccupancy evaluation as a means to gather data for better buildings. WEI LEI MANSION, Zhengzhou, China In this 80,000-sq.-ft. hotel/office complex, mechanical systems were retrofitted with higher efficiency pumps and controllers from Armstrong Fluid Technologies (Design Envelope 4300 pumps and an ipc 9521 controller). The manufacturer then proceeded to have its technology monitored for a year and certified by a third-party agency, Bureau Veritas, to documented success: Annual energy costs dropped 75% from 298,030 RMB, to 104,626 RMB (approximately $28K U.S.). This meant payback in less than two years. Equally as impressive, annual emissions were reduced from 283,647 kg CO2 to 99,577 kg CO2. MATERIALS USED: HONOR, PRIDE AND CONCRETE. When you build a memorial, you make it unforgettable. One visit to Veterans Honor Park in Chesterfield, MO, and you are forever touched. As it represents our nation’s highest honor, this site features the highest quality precast concrete with special touches like custom engraving and subtle underlighting. With Tectura, the possibilities with concrete are endless. (Above) SolarWorld’s Hillboro, Ore., facility is where cells are manufactured for PV modules. The company was recently acquired by SunPower. According to Environment America, PV in many U.S. cities is expanding rapidly. As of the end of 2017, 20 cities accounted for over 4% of our capacity. Los Angeles leads the way, but New York and Indianapolis were Nos. 7 and 8. Despite sluggish residential installations, solar in general is on the rise. The United States has installed 4.7 gigawatts (56GW installed in total) of solar power in 2018, with utility-scale solar representing 55% of 2018 installed solar capacity. Industrial & Architectural Hole Product Solutions Since 1952. A variety of McNICHOLS ® Designer Wire Mesh panels contribute to this unique retreat perched on a 4,000+ square foot section in a Chicago rooftop garden. The Decorative Mesh was vertically assembled artistically with two primary goals – to help conceal the roof’s unsightly mechanical equipment and exhaust vents, and to create a contemporary sculpture designed to replicate the city’s urban skyline. Our Architectural Design Specialists can help bring your vision to life! By taking the time to understand your project requirements, our knowledgeable team can assist upfront with informed and relevant product suggestions. We are ready and Inspired to Serve® you at 866.735.3861! The Electric Company is Back The reuse and renovation of former energy plant results in a widely sustainable campus and community recreational center. Studio Gang’s renovation of the Beloit College Powerhouse in Beloit, Wis., was recognized by the World Architecture Festival X Prize for its reuse and passive energy solutions, including considerations for integrating a recirculating loop of the nearby river waters into the building’s climate control system to significantly reduce dependence on fossil fuels and local energy. The Powerhouse will serve as a recreational resource and a community forum, while fostering a public connection to the riverfront—embracing it rather than polluting it—that foregrounds the connection between human and environmental health. The judges were impressed not only with the repurposing of cavernous industrial spaces, but with how the project maximizes its riverfront location, utilizing river water to manage the temperature of the building while also minimizing total energy use. TO CREATE STUNNING SPACES Connectrac® Under-Carpet Wireways deliver power and data with an elegant and flexible, floor-based cable management solution unlike complicated and expensive methods such as core drilling, trenching or power poles. Our ultra-low profile wireway integrates with any furniture and can be moved or reconfigured as environments evolve. London 2026 imagines how ‘agritecture’—buildings that can grow food—will have impacted our cityscape, with food being produced at a variety of scales. Ren-A-Circle Roundabout in Taipei is transformed into an insect hub with the goal of becoming selfsufficient in protein. Art, infrastructure, architecture and biology come full circle in Belatchew Arkitekter’s “BuzzBuilding.” The shape, derived with computer modeling, presents an urban greenhouse from easily adaptable to busy traffic circles, that can house and protect pollinating insects critical for urban farming. • NFPA 285 / UBC 26-9: Fire Resistance No special FR composition required. Standard composition meets requirements. • ASTM D5420: Impact Resistance Durable phenolic core provides greater protection than plate or polyethylene core. • ASTM D1929: Fire Resistance Meets or exceeds ignition temperature of nearly all competitive MCMs. • ASTM E283, 330, 331: Air, Water, Structural Passed standards with shop-fabricated and budget	/	time	friendly	field-assembled	systems. • LEED MR 4: Recycled Content Helps contribute towards the effort of sustainable building practices. • 30-Year PVDF / 20-Year Anodized Long-lasting Kynar 500®	finishes	with	cool technology or actual integral anodized metal. Each shape is available in a variety of size options ranging from a 22-in. diameter and 12-in. high to a 16-ft. diameter and 48-in. high. Merging acoustics with lighting allows ceilings and wall surfaces to remain visible and free of clunky conventional acoustic treatments. With center-of-glass visible light transmittance (VLT) of 64% and a solar heat gain coefficient (SHGC) of 0.27 in a standard 1-in. insulating glass unit (IGU), Solarban 70XL glass is one of the industry’s highest performing solar control, low-E glasses. The bird-friendly 211 (bottom left) pattern, which was etched on Surface No. 1, has a threat factor of 23, which means that birds will avoid colliding with it at least 77% of the time, based on tunnel tests conducted by the American Bird Conservancy. This pattern was used in the Historic Humber College Building. Others are also available. High-solids spray coatings — the newest high performer from Dura Coat. Now aluminum extrusion panels, kickplates, pole wraps, copings, fascias and cladding can have the same finish and protection as Dura Coat coil coatings. Green saves green Durapon 70 HS advanced formulation allows use straight from the container without additional solvent reduction. This full-measure packaging is kinder to the environment while cutting application time and reducing applied cost. Dura Coat’s proprietary resins, PVDF and years of expertise deliver a high-solids, super-smooth finish with superior dirt- and stain-resistance. With unlimited color choices, including metallics and exotic finishes, and superior protection from whatever mother nature dishes out, we have you covered. Call 951-341-6500 or 256-350-4300, or visit www.duracoatproducts.com for all your metal coating needs. Highlighting the products, materials, systems and techniques behind the architecture. 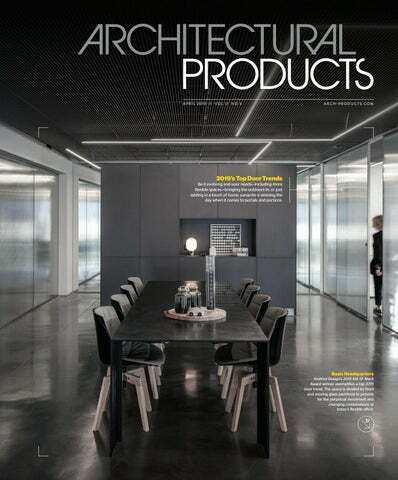 No other editorial source prioritizes the architectural ideas and solutions enabled by specification. Beyond just the metrics, product choices have the ability to change spaces, and realworld ‘proof-of-use’ case studies offer insight into ‘proof-of-performance’ realities. Stay current with the product, material and system developments that are shaping how we build. Brief, relevant, editoriallywritten and curated news items that keep you on the forefront of specification. Sort by product category, building type, company name, or trends such as energy efficiency, design & health, resiliency, material transparency and net zero buildings. New articles are added daily by our editorial staff and offer objective perspectives on realworld solutions. Take us on the go with you. The website is now fully responsive and optimized for viewing on all of your devices. Timely and relevant, our content follows the trends shaping the built environment. From resiliency, material transparency and design-assist, to highefficiency and net zero buildings. 2019’s Top Door Trends Style, not security, is in, and today’s big trend involves creatively using doors to not only accommodate flexible spaces in commercial settings, but create new user experiences. When thinking commercial doors, “security,” often, is the first word that comes to mind these days. That is what I expected to hear from building operators, product specifiers and door manufacturers when discussing the latest trends for this critical building component. I was wrong. Everyone wanted to talk style. Specifically, using doors to create a new user experience and flexible spaces. Here are four top trends in 2019. Spec them in your next design, and don’t worry about security—leave that to hardware manufacturers. Design Tip: Jacobs added a sliding screen at Beatrix that fits into the wall like a canister and pulls out from left to right. It helps keep the bugs out of the restaurant, but still allows the restaurant to open the patio space more days of the year. Bring the Outdoors In When it comes restaurant design, Marc Jacobs, executive partner and divisional president, Lettuce Entertain You Restaurants, is the expert. He has done it 18 times—successfully. Jacobs says he specifies flexible doors, walls and windows to match the unique ambiance he creates at each restaurant. “Our goal as restaurateurs is to bring the outside into the space. It’s all about harnessing energy in our space and flexible windows and doors help you do that,” said Jacobs. “In every space that I have, we try to add an element of flexibility to our exterior walls to allow for openness, and grow the energy— essentially bringing the outside in.” Jacobs used LaCantina’s Aluminum Thermally Controlled Folding Door Systems for his Oak Brook, Ill., Beatrix Restaurant and Market, because it helped create a bigger footprint, naturally and seamlessly expanding the restaurant to the outside during nice weather. The folding door system creates a frame around the opening, giving Jacobs the ability to design the door to match the architectural décor of the space. With limited outdoor space and a very tight dining area, the LaCantina folding door systems allowed owners to maximize every inch of our restaurant seating by quickly going from open to close, providing the perfect solution for Chicago’s climate. Design Tip: Specifying two doors, one that swings in, one that swings out, is ideal for behavioral health applications where end users need increased flexibility. The ProCare 8300 has a flush bolt at eye level, instead of out of reach at the top of the door, and features a simple push button that allows nurses to push down the door when their hands are full. It also won’t latch onto patient’s IVs or staff badges. Even without a breakaway feature, nursing and patient needs can be met by specifying a two-panel leaf, or two doors—one that swings in, and another that swings out, such as at the Cypress Creek Medical Pavilion, which feature VT Industries doors. San Francisco-based Axelrod Design/Axelrod Architects designed the interiors for the Basix office headquarters in Tel Aviv. The design team translated these company values into a flexible, dynamic office design, which incorporates a major element—three-dimensional striped glass—in order to transform a narrow, medium-sized office space into an open, subtle and expansive one. The office has been divided by fixed and moving glass partitions to provide for the perpetual movement and changing combinations of today’s flexible office spaces. Create Flexible Spaces The 120,000-sq.-ft. American AgCredit headquarters in Santa Rosa, California, was designed to accommodate rapid growth and change while championing transparency to reflect the company culture. Architect Don Tomasi, AIA, principal of local TLCD Architecture used the NanaWall HSW60 Single Track Sliding Glass Wall System to promote this theme—aiding in circulation and creating a connection between indoor and outdoor office spaces. “A lot of businesses today want flexibility and the NanaWall allows them to configure spaces in a different way,” said Tomasi. “There is also a lot of attention paid to outdoor office spaces. Calling this a trend would imply that it is short lived. Instead, I believe this is a new method of design for businesses.” Tomasi employed two NanaWall HSW60, 13-ft. × 8-in.-wide single track sliding glass doors in the facility’s two meeting/project rooms that can be adapted for various sized group work. The 9-ft. × 9-ft. panels slide into a parking bay when doors are opened and closed with a simple operation when the space is occupied by groups working on different projects. In the office’s main conference room, the HSW60 stands 10-ft. tall × 38-ft. wide, adjoining the boardroom with the adjacent outdoor patio, filling the room with fresh air and natural daylight, providing the flexibility to adapt to different space requirements for each meeting or corporate event. Architect Dom Tomasi, principal, TLCD Architecture used the NanaWall’s single track sliding glass wall system to aid in circulation and create a connection between indoor and outdoor office spaces. Design Tip: While there may be less expensive options when it comes to retractable doors, Tomasi recommends investing in a high-quality door like NanaWall for enterprise facilities that plan to own/operate their buildings long-term. Barn doors have a rustic feel that creates a signifi cant contrast when used indoors. VT Industries 5502 Crossbanded Particle board Core was specified to create a new user experience at Ft. Lauderdale’s Cypress Creek Outpatient Surgical Center. “Old barn doors are becoming more popular again. People have seen them in consumer magazines like Better Homes and Gardens and they are asking architects and interior designers about those features they love and applying it to commercial spaces,” said Steven Orlowski, senior director of standards and technical activities, Window and Door Manufacturers Assn. In addition to the unique aesthetic-look barn doors bring to just about every application, they are also functional in a way other doors are not. For one, barn doors save space. Traditional swing doors need 9-ft. or more to properly open and close. While this isn’t an issue in larger commercial spaces, more space-starved are considering them. Another advantage of the barn door is their support system. Off-loading the weight of a door onto a track means a heavier door can be specified. “Old barn doors are becoming popular again... People are asking about features they love and applying it to commercial spaces.” —Steven Orlowski, Window + Door Mfrs. Assn. Design Tip: Make sure there is enough adjacent wall space for the barn door to slide over completely when open. Because barn doors are heavy, they may not close as quietly as traditional doors. Work with the project contractor to employ the right hardware for the load. Unlock the Keys to Designing with Doors From restaurants to corporate offices and healthcare spaces, doors open many design possibilities that can both reflect the space and further its desired ambiance. Look for these trends across markets in 2019—or put them into play yourself to maximize any space. As part of the greater style trend, Therma-Tru has expanded its Classic-Craft American Style Collection of Shaker-style doors, to include “High-Fashion Farmhouse,” as well as Satin Etch privacy and textured glass options for select Classic-Craft style products. Two ornately clad Schweiss Doors bifold designer doors blend in with the historic 1926 look of a new apartment complex at Seattle’s historic auto row. The custom-made liftstrap doors measure 11 ft., 10 in. × 11 ft., 11 in. and 11 ft., 1 in. × 10 ft., 1 in.. Each door is equipped with photo eye sensors. Navigating Tech Traps Digital technology is permeating into architecture. The financial case for high-performance buildings is out, but architects are losing sleep over the Internet of Things (IoT). “Smart” building experts demystify IoT and identify and illuminate how technology streamlines today’s building design and operation. “Architecture firms don’t typically include a data specialist amid their ranks. But maybe we should,” posited Joe Connell, Design Principal at Perkins+Will Chicago, during a “FuturePurposed Design” roundtable at Lightfair 2018, sponsored by wireless lighting controls manufacturer Audacy. The technology integration discussion spurred Architectural Products to explore the subject further. According to David Herd, managing partner, North America, for BuroHappold Engineering, today’s A/E design equation prioritizes the creation of sustainable, healthy, flexible and resilient buildings. Technology, controls and other “smarts,” he says, support that broad sustainability vision. To remain relevant, architects must consider things like IoT, notes Harry Pascarella, a consultant and project manager at Harbor Research. “It is a valuecreation mechanism for architects and designers who can take this into consideration from the beginning.” Herd does not disagree, but points out architects must understand that new building technologies are not to be considered a “bolt-on solution.” He suggests architects should think about IT as they would an Integrated Project Delivery (IPD) model, which ties owner, design team and contractor together contractually for shared goals, a transparent process, and added value, using technology to reduce redundancies and waste in buildings’ construction and operations. What is even more valuable, says Hopping, is that the data that rolls in can inform the next generation of building design. “The output [data] coming from these technologies helps determine how the building is being used; it shows walking and traffic flow patterns throughout buildings,” reports Hopping. Using building data as input to design their next building helps design teams and their clients be more efficient, and more useful. “We are seeing that across all markets, office, healthcare, even retail. For a retailer, that’s a huge value add, especially for a repeat client that has a big building footprint globally or nationally,” says Hopping. The entire facility was constructed to facilitate connectivity and data gathering for research. This is accomplished through a mix of cabled and wireless connectivity. Data points are gathered electronically in the corridors and within the labs to assist in monitoring patient progress. This provides a feedback loop, offering key insights to clinicians. In fact, he adds any successful tech process should involve the creation of an ecosystem of technology partners that, upfront, can assist and remove costs by eliminating waste and duplication of efforts. As an example, reducing the number of sensors by using devices that perform multiple functions, is a major asset, also reducing hardware equipment, controllers and building wiring networks. Such consolidation also cuts down the man-hours it takes for multiple project managers and commissioners to do so on-site. Big Data has a place in design, but its purpose must be defined, and involves changing company culture to integrate into its core functions. in any technology equation. Big Data, she said, has a place in architectural design, but its purpose must be clearly defined, and likely involves changing a company’s culture to integrate it into its core functions. Case in point was the Ability Lab, which ended up doing both. According to Gibson, any “intelligence” discussion must start with the client, and frankly, involves pushing them beyond their comfort zones to start thinking about the future and how they are going to deal with non-traditional business issues that might affect business interruptions, be it catastrophic weather; political/social unrest; financial crises, etc. In the end, this forest-for-the-trees heart-toheart will lead to a cultural change. For example, at Shirley Ryan, a decision was made to architecturally attempt to spark new creativity by integrating different staffs and departments together to encourage new collaborations. Having established such a baseline, Gensler ended up instituting some IOT/Big Data initiatives where they did incorporate technology to record staff interactions with patients. Thus, if a “eureka” moment occurred when staff discovered or encountered something unusual, they could immediately pull relevant data, and assemble it quickly into a report in order to apply for a grant to further study the matter—something totally in concert with the center’s mission, and one that also provided an end game: money for research. Beyond that, Gensler is also tying staff and patient experiences, via an app, to various spaces in the facility to gauge reviews as to what people like, what’s working and what’s not, as a means of feedback to improve their designs. The +Comfy system will now address visual comfort by activating View Dynamic Glass or deploying window shades when occupants report that it is too bright, or there is glare on their screens. A first in terms of installations in the U.S., BuroHappold and Morphosis implemented an air exchange system to naturally ventilate the architect’s Culver City office, which uses a set of digital sensor-controlled cupolas that contain interior cross blades that both draw cool air into the building and extract hot air out. Talk about having a healthy conversation with your building, employees at Saint-Gobain’s new HQ can respond to real-time conditions through an occupant app, and request changes to suit them. This data is collected and used to continually fine-tune the building’s visual and climate comfort levels. This data also helps them track the effectiveness of the use of their own building materials in real time. Occupantcentric apps allow employees to respond to real-time conditions and request changes to suit them. The facility is an innovative model that illustrates how building data comes together to form a truth about ROI and where to invest in your building. Fort Worth’s Sanger Building will be home to the first “intelligent building” in Texas, and when complete it will have with more than 2,000 lights powered using Ethernet cables. Fort Worth will also be home to the first hotel in the world, the Sinclair Hotel, to use POE (power over ethernet) technology to power all of its lighting. Latest in Lighting: PoE on the Rise Osram, which sold off its last luminaire business to become purely a technology company, has dubbed 2019 the year of IoT. “We believe lighting infrastructure will be the backbone of IoT in the future for one very simple reason: If you look at the ceiling, the lights are everywhere,” said Wilhelm Nehring, speaking at the LuxLive exhibition in London. Now Osram Digital, the company focuses purely on softwarebased systems and digital light management systems. Real estate developer Farukh Aslam is betting on Osram’s example, remodeling two premier Dallas-area properties entirely with Power over Ethernet (PoE) technology. Fort Worth’s Sanger Building will be the first smart building in Texas, with plans that include more than 2000 PoEpowered lights. Built in 1923 as Sanger Brothers Department Store, and now a residential building with 59 lofts and ground floor retail, PoE will also power all motorized shades and drapes. The tech is expected to soon power VRF air conditioning units, 55-in. flat screens, and even guestroom minibars. Aslam is also developing the neighboring Sinclair Hotel, an iconic art deco building built in 1929. On the National Register of Historic Buildings, it is currently being redeveloped as a luxury Marriott Autograph Hotel and will be the first hotel in the world to use PoE technology to power all of its lighting. Merriman Anderson/ Architects is coordinating with the owner and MEP engineers to help implement this technology throughout the buildings. Working with architects KieranTimberlake, BuroHappold and the rest of the project team successfully employed an integrated project delivery approach at Brown University’s new Engineering Research Center, which opened in 2017 and has become a model of smart sustainability. The Mills Fleet Farm Parking Garage in the Downtown East neighborhood of Minneapolis, Minn.
Sullivan and Saarinen may have admired each other’s unique design aesthetic. traveling to the apex of a rare architectural monument is both terrifying and memorable; and the ride reminded me that as Saarinen intended, the Arch is best admired from the outside as a beautiful, inspiring structure and technical feat. “Conveying significant meaning is part of the inspirational purpose of architecture, and therefore, for me, it is a fundamental principle of our art.” The following day, a visit to the Sullivan Gallery at the St. Louis Museum evoked Sullivan’s similar conviction that there was a deeper meaning in architecture; but rather than the sleek, space-age object of Saarinen’s mid-century modern times, Sullivan’s ornamental details are based on our bonds with nature and the idea that our environment has the power to shape our behavior. As nature is the ultimate architect, organic ornamental embellishments emphasized the port columns and entrances of Sullivan’s high-rise designs. Both architects’ works symbolize the foundations of our nation, and their popular longevity serves to remind us that we are still a nation of migrants whose prosperity is inextricably linked to nature. Bringing a little biophilia into a downtown parking structure camouflages necessities of urban life while reminding city dwellers to seek shelter in quieter, softly textured scenes from nature. And just like their imprinted design of tree foliage, the perforated panels allow light and air to stream through in refreshingly random patterns. En-Fold offers more than 1,500 sq. ft. of covered outdoor space on rooftops, creating an outdoor room sheltered from the sun, wind and other inclement weather conditions. The En-Fold stadium-grade retractable awning system enhances the Kimpton Tryon Park Hotelâ&#x20AC;&#x2122;s rooftop lawn, providing an attractive, high-end solution to ensure the facility is available for year-round use. The En-Fold canopy itself has an extension of 26 ft.-9 in. and is 63-ft. wide. Seven aluminum extrusions support Sefar TENARA 4T40 fabric that provides protection from the sun, wind and rain when fully extended. Ecoustic Sculpt tiles are supplied standard with sound screen mesh. This acoustic fabric enhances the acoustic performance of the tile, and has been specifically designed to complement the full range of ecoustic ceiling and wall tile systems. Fire-Rated Aluminum Window And Door Systems Aluflam has a complete offering of true extruded aluminum fire-rated vision doors, windows and glazed wall systems, fire-rated for up to 120 minutes. Available in all architectural finishes, our products are almost indistinguishable from non-fire-rated doors and windows. You won’t have to compromise aesthetics to satisfy safety regulations. Stand out acoustic solutions have been found in the form of lighting fixtures and now in decoratively dimensional acoustical felt panels. For designers working with a standard grid ceiling, these undulating profiles are a simple and effective method to add a refreshing variation to the design landscape. Our superior chemistry delivers stronger stone. Calcium silicate’s internal chemistry is different from that of concrete and far superior. A natural reaction chemically binds the elements into a homogeneous unit – a replication of how natural stone is created in the earth, delivering the most durable, strongest manufactured product on the market. Pursuit housings can be connected to form an uninterrupted ribbon of light without any breaks or light leaks. The practical requirement for ambient or task lighting in a space requires visible light sources and their luminaires to become icons of design. These divine details complement the architecture of a space with thoughtful construction of housings, closures, mounting and lens designs. An online gallery features a variety of patterns created using different WoodWorks Shapes ceiling panels and finishes. The Perplex bench is made of a ultra-high performance fiber reinforced concrete and durable cast aluminum. Morin systems feature over 25 integrated profiles, combined with a wide choice of colors, corners, perforation options, and natural metals. Our systems provide unique design solutions for you to create and specify your own custom look. Integrity, Matrix and Pulse Series feature a common interlocking joint detail allowing you to mix and match, creating an unparalleled range of aesthetic effects. A steel frame, the faĂ§ade is made of aluminum sheets bonded to a polyethylene core, fine articulation of the off-white skin material keeps water from leaving dirty streaks. Horizontal Pivot Glass offers a solution for intelligent openings, which can be used to create panoramic formats, while also creating more flexible room ventilation to optimize user comfort. Vitro Architectural Glass Solarban 60 blocks 66% of total solar energy while allowing 70% of visible light to pass through. This combination produces an excellent light to solar gain ratio: 1.79. Carmi Bee, FAIA, President, RKTB Architects is committed to creating environments that serve human needs and develop a sense of historic continuity. Nelson Vega, Assoc. AIA, Associate Principal, RKTB Architects coordinates design and construction efforts for residential and commercial projects. For the entrance, a custom canopy was developed by a local fabricator that manufactures structural steel and miscellaneous iron products, including stairs and rails. The darker stone base stands in contrast to the white Alucobond panels. The LED pendant fixtures are 15 in. wide, and 7 in. deep, and are available in a lacquered aluminum, brass or painted finish. Italian Porcelain tile used in the offices and kitchenettes is a wood-effect tile which has the look of the rugged material and is low-maintenance, lowwater absorption, and is stain resistant. Here are some of the latest courses available free on TheContinuingArchitect.com in full HD video. Can Your Spec Reverse Global Warming? This course is a recording of a presentation from GreenBuild 2018. According to experts, carbon emissions from the built environment need to peak within the next 15 years for Earth to have a chance of staying below the global warming tipping point. A video recording of a presentation delivered at GreenBuild 2018: for more than a decade, experts have sought an answer to the solar energy conundrum: How to generate and store clean solar for our homes and businesses. A video recording of a course presented at Greenbuild 2018: Sustainable buildings have typically been measured in two ways: by their reduction in resource consumption and their achievement of green building certifications. An overview of codes, safety of use and fall protection, material selection, secure installation methods and design that must be considered when selecting or specifying a commercial or residential railing system. Innovative Water Conservation Fixture Systems This course explores critical issues related to water usage and the need for water conservation awareness and implementation. Meeting the Living Building Challenge Architect Brian Court will give an overview of the LBC, design strategies for the Bullitt Center and highlight virtues of heavy timber structural systems such as renewability, contribution to energy efficiency and light carbon footprint. UNC Wilmington’s Center for Marine Science Trying to increase connectivity and sense of community on its campus, MARBIONC’s vision is to position the state’s marine biotechnology industry as a key element in realizing economic and environmental solutions on a global scale. building (research) and the construction type—post-tensioned concrete—coordination of penetrations had to be spot on. “Combined with a very tight site campus noise restrictions, construction phasing, and the fact that the facility was designed to be leased privately—vs. used by the college itself—collaboration and open communication proved key to the ultimate success of the project,” says Sealy. “Climate and geography had a significant impact on the design,” says Sealy. The research facility is located in a coastal and corrosive environment, so carefully selecting appropriate exterior material was crucial. Mark Sealy, AIA, LEED AP, Project Director at EYP, has extensive experience designing higher education, commercial and community college projects. The research facility includes 18 labs, 7 environmental control rooms, tissue culture rooms, two microscopy labs, electrophysiology lab, two autoclave/ media sterilization rooms, inoculation clean room, offices, conference facilities and a food service area. A priority in designing the building was respecting the wetlands on site, especially given that the building is situated adjacent to an existing wetland. A raised footbridge traverses the wetlands between the parking areas and main building, allowing users and visitors to experience the natural surroundings as they approach the entry. In fact, along that path, you may get to see a Venus flytrap—native to this area only. Stormwater management is carefully separated and strategically diverted to a series of bio-retention cells that complement the natural wetlands and outdoor hardscape areas. Stormwater is further directed across the parking areas via planted island conveyance swales and ultimately to a newly created, constant body of water wet pond. The structure is cast-in-place concrete with a post-tensioned floor slab, and features a brick veneer and metal stud backup with continuous insulation and fluid applied membrane air barrier. The fenestration depicts programs inside with punched windows at research lab areas and curtainwall at public and non-research areas. All glazing units are three layered, fully tempered insulating units with laminated exterior lights for maximum wind-borne debris impact resistance. Due to the private and restricted nature of the research incubator space, laboratories are located on the building’s interior side, with the offices closer to the exterior serving as an insulator and additional buffer in the case of exterior damage or penetration during a storm. kWh and costing an additional $67,855. “There’s the rule of thumb concerning supplying conditioned air at 55°F and producing 45°F chilled water supply temperatures (CHWST) year-round. But, when you are using those hard, static setpoints, you lose big opportunities to save energy,” says Sharpe. HVAC Energy manager Sharpe aimed to build the chilled water plant to exceed ASHRAE Standard 90.1-2013, Energy Standard for Buildings Except Low-Rise Residential Buildings. By using this standard as a baseline and following other ASHRAE recommendations, such as chiller plant optimization, Sharpe knew he could reduce the chilled water plant energy consumption by nearly 40%. ASHRAE Standard 90.1-2013 requires selecting chillers optimized for part-load conditions as gauged by the Integrated Part Load Value (IPLV) metric. IPLV measures chiller efficiency over a range of operating conditions—precisely the situation Sharpe was facing. “Our climate extremes are 97.5°F (36°C) dry bulb and 88.3°F (31°C) wet bulb temperatures,” says Sharpe. “These conditions are very taxing on a system. The MARBIONC building uses nearly 100% outside air. So, when you have high wet bulb temperatures, you have to ring the moisture out of the outside air being supplied inside,” says Sharpe. Outdoors, the high humidity hampers evaporation, making it tough for cooling towers to reject heat into the atmosphere. “Fortunately, in actual day-to-day operation, less than 150 hours a year occur at the highest dry bulb and wet bulb temperatures,” adds Sharpe. “This offers a lot of potential to save energy at all the hours spent at lower operating conditions.” Based on ASHRAE recommendations at that time, the most efficient type of plant would be a single, primary-flow, fully variable-volume chiller plant. In this design, variable-speed pumps circulate chilled water to cooling coils in air handlers that provide space cooling. Along with variable-speed pumps, variablespeed chillers are employed because they can track the variable thermal load very closely, saving energy for the remaining 8,610 hours operating below peak load. To take maximum advantage of all the hours below full load, Sharpe selected two 750-ton Smardt WA240 water-cooled variable-speed chillers. Each chiller uses five Danfoss Turbocor TT400 oil-free magnetic-bearing centrifugal compressors, individually rated at 150 tons nominal. “Variable-speed multi-compressor chiller technology provides outstanding annual building efficiency in a climate like ours,” says Sharpe. “The key is to use multiple compressors that can throttle back or ‘turn down’ capacity to match the reduced load. At low loads, multiple compressors also mean the chiller can shut down compressors to keep them running in their Unlike positive-displacement reciprocating and efficiency sweet spot.” screw compressors that use brute force to create lift, centrifugal compressors use impellers to create lift similar to a jet engine, says Sharpe. The laboratory offices’ location on the exterior walls allows maximum daylight. Interior walls between the laboratories and offices are glass, not only for visual security and safety, but also to maximize daylight into the laboratory spaces. Old-World Brewpub Mixes Charm with Boston Character Having a reclaimed wood appearance, the brewery team needed flooring that would stand up to heavy foot traffic. economic justice organizer-turned-brewer, James Razsa, and veteran brewer, Jason Taggart, opened up the brewery in 2018. Razsa, Taggart and their team wanted to establish a brewery that blended old-world brewpub charm with classic Boston character. Democracy opened for business on the Fourth of July—fitting for a brewery that describes itself as celebrating “Boston’s rowdy revolutionary history from the 1700s to the present.” CRITERIA: A challenge in any hospitality space, the flooring chosen needed to stand up to heavy foot traffic and food or drink spills that were likely to happen in such a busy space. Designers knew from the start luxury vinyl would be an ideal choice for the brewery. STAND UP TO FOOT TRAFFIC Luxury vinyl flooring was chosen to stand up to foot traffic and drink spills that were bound to happen in a busy place. SOLUTION: EMBARC, the Boston-based architect and design firm, called upon Parterre Flooring to outfit the 2880-sq.-ft. space. From working on previous projects together, Acosta knew that Parterre’s Luxury Vinyl Tile (LVT) designs would fit the look and needs for Democracy Brewing. Acosta eventually selected Heart Pine, a natural wood look from Parterre’s InGrained Resilient Plank collection, for the entire second floor space. Heart Pine fit perfectly with the aesthetic for which the owners of Democracy Brewing were striving. The design team paired elements like exposed brick walls and textured plaster ceilings with the flooring to tie the old in with the new. “All the finishes in the space are grittier, but with a warmth and refinement to them. The flooring tied in well with that aesthetic,” adds Acosta. NATURAL WOOD LOOK Parterre Flooring’s Heart Pine fit seamlessly with the aesthetic for which the owners of Democracy Brewing were striving. just across the street from Wrigley Field, the hotel is certainly a hot spot during Chicago Cubs’ home games, but also attracts guests for its fine dining options, state-of-the-art meeting areas—like the American Airlines Conference Center—and entertainment and shopping options at Gallagher Way. When the boutique hotel was built in 2018, it only had to look across the street to Wrigley Field for inspiration for its commercial restroom products. Hotel Zachary sports a timeless design throughout the facility, drawing on inspiration from Wrigley Field architect and Chicagoan, Zachary Taylor Davis to provide guests with an authentic, neighborhood experience with a subtle nod to baseball. As one of the most popular, new year-round destinations on Chicago’s North Side, the hotel needed restroom fixtures that could stand up to heavy traffic. Hotel Zachary draws on inspiration from Wrigley Field architect Zachary Taylor Davis, with an authentic neighborhood experience and a subtle nod to baseball. SOLUTION: Sloan effectively complemented that design vision with products that extend the hotel’s charm into the restroom. Hotel Zachary specified Sloan Optima EAF-700 faucets, customized with a Brushed Amber Gold aesthetic to match the trim along the restroom mirrors, as well as the handlebars in the water closet stalls. The gooseneck-style faucets also provide guests with a touchless hand-washing solution to promote proper hygiene and minimize cross-contamination across the rest of the hotel. Sloan Royal 111 ESS flushometers deliver 1.28 gpf to provide a high-efficiency flush, helping to promote water conservation. With automatic sensor operation, the flushometers work in tandem with Sloan faucets to create a completely hands-free restroom experience. The flushometers work alongside Sloan hybrid urinals and ST-2459 water closets—each composed of vitreous china with vandal-resistant design. EFFICIENCY PARTNER Sloan outfits the Chicago Cubs’ clubhouse, as well as the concourse with sustainable plumbing products, and is now providing Hotel Zachary communal lobby restrooms with those same amenities. DESIGNING A BRAND In 2018, Celebrity Cruises Port Everglades unveiled a renovated Terminal 25, its first branddesigned terminal located within the port. the façade of Celebrity Cruises Port Everglades terminal. The port is one of the top three cruise ports in the world and among the most active containerized cargo ports in the U.S. In 2018, Celebrity Cruises unveiled a renovated Terminal 25 (T25), its first brand-designed cruise terminal located within the port. CRITERIA: At the helm of the renovation was architects Bermello Ajamil & Partners who had a vision to create a visual voyage for those waiting to embark. Part of this included a visually dynamic façade. SOLUTION: A combined 2300 sq. ft. of GKD Mediamesh and 800 sq. ft. of Tigris metal fabric were specified to fulfill this vision. When being introduced to the project, GKD was selected in part for their ability to produce a product that achieved the aesthetic vision, but was also functional. The idea was to have Mediamesh display a simple PSA or advertising messages from the interior portion of the port. It was also entertained to have the Mediamesh serve a similar function outside of the building. According to Andy Franks, regional sales manager, GKD Metal Fabrics, the major task was communicating with the architects to understand their vision, and being able to provide an elevated product that also served a purpose. Port Everglades Fort Lauderdale, Fla. METAL FABRIC GKD Mediamesh and 800 sq. ft. of Tigris metal fabric feature a patented system of LED modules, which are interwoven into the stainless steel metal fabric. GKD Mediamesh, Size 2300 sq. ft. Tigris metal fabric Size 800 sq. ft.
To create efficiencies during the tight construction window, GKD was able to speed up the design process through 3D modeling to ensure everything was manufactured correctly. McCormick HQ Hunt Valley, Md. Glass Key Ingredient for 130-Year-Old HQ McCormick & Co.’s 350,000-sq.-ft., seven-floor new global headquarters based in Hunt Valley, Md. features nearly 85,000 sq. ft. of glass and serves as the centerpiece of a world-class, growing corporate campus. CHALLENGE: The Washington, D.C.-based office of STUDIOS Architecture designed the base building of the 130-year-old McCormick & Co.’s headquarters to be sleek, modern and energy efficient. The four-year project involved stripping an existing utilitarian building down to its concrete and steel structure, adding a refined glass curtainwall, and carving out a central atrium to provide natural daylighting, open floor plans and a variety of workspaces to cultivate innovation and collaboration among nearly 1000 employees. “Utilizing glass enabled the design team to optimize the amount of daylight passing through the building—from the exterior through to the offices, amenity spaces and central atrium— as well as reduce unwanted solar heat gain and match desired aesthetics,” said Allan. the project’s façade, JEB fabricated Winduo insulating glass units (IGUs) featuring Guardian Glass’ triple-silver, low-E SunGuard SNX 51/23 coating on clear glass and SNX62/27 coating on CrystalGray glass. In addition, JEB supplied approximately 5000 sq. ft. of Vitro Architectural Glass’ tinted Optiblue laminated glass panels for rooftop guardrails and architectural fly-bys. The IGUs and laminated glass panels were captured in custom aluminum framing provided by Northern Façades, which also incorporates a horizontal sunshade system by Clover Architectural Products on the south-facing elevation. The building, which is located near three of the company’s manufacturing facilities, also features state-of-the-art test kitchens, as well as a café, coffee bar, pantries and a culinary training center, among other employee amenities. THE RIGHT MIX Mixing high-performance glass and other energy efficient features was a recipe for success, as McCormick’s headquarters is expected to earn LEED Gold Certification. Architects customized a second-skin glass façade for 111 Market Square; the back-lit decorative glass cladding is a key element in the upgrade of two 1960’s Class B office towers into Class A commercial real estate assets. CRITERIA: MODULUS was charged with changing the appearance and perception of the two multistory office buildings on a tight construction schedule and budget. The architects started by exploring several economical cladding finishes, including metal panels, but none was able to deliver the desired façade upgrade. GLASS PANELS The glass panels attach to the building via adjustable metal fittings that tie back to the existing structural beams and concrete façade. The compression attachments eliminate the need for cumbersome glass drilling, speeding installation. previously worked with Bendheim’s ventilated glass façade systems on another commercial retrofit in San Jose, the architects and developers decided to use decorative glass to achieve the sought-after elegance and sophistication. © Jeff Peters, Vantage Point Photography Inc.
Bendheim’s jewel-like glass cladding changes the way the towers “read,” making them appear lighter and more sophisticated, without requiring expensive modifications to the building mass and window lines. The backlit glass system covers major areas of the exterior walls and creates new overhangs and decorative fins. The translucent white laminated panels of glass reach sizes up to 4 ft. × 6 ft. The architects specified low-iron glass to create a cleaner look that reads whiter, lighter and more modern. Its luminous aesthetic highlights the building. According to MODULUS, the decorative glass façade elements successfully changed the perception of the property, and are expected to deliver substantial return on investment. “The difference in the rent revenues between a Class A and B building is substantial. Clients recognize the value of the design, because they see it on multiple fronts—from aesthetic to monetary payback,” said David Fenster, MODULUS lead architect. Bendheim’s technical design team collaborated closely with the architects, developers and installers to meet structural, aesthetic and budget goals. The glass façade system is used in several different ways on the project, including a creative staggered panel layout that adds visual complexity, while maintaining a straightforward structural design. RATE OF RETURN According to the architect, the decorative glass façade elements successfully changed the perception of the property, and are expected to deliver a substantial return on investment. Creating a Culture of Performance The goal of creating a culture that is true to New Belgium’s mission is what made translucent sandwich panels such a prominent feature of the company’s brewery in Asheville, N.C. “Culture isn’t what you say; it’s about what you do ... We believe that our dedication to high involvement culture and a loving, high performing workforce sets us apart.” This is the message the people at the New Belgium Brewing Co. want you to know about them and the way they foster a productive and engaged workforce. New Belgium Brewery in Asheville, N.C. the company’s first on the East Coast, earned three LEED Certifications: Silver for the Distribution Center, Gold for the Brew House and Platinum for the Liquid Center. Plus, it was designed to be a vibrant workplace that encourages collaboration by using natural daylight to take advantage of the brewery’s open floor plan and picturesque views of the French Broad River. The architects, the international firm of Perkins+Will, also successfully incorporated the brewing equipment into their design. goal of creating a culture that is true to New Belgium’s mission is what made Kalwall translucent sandwich panels such a prominent feature of the company’s brewery. The panels are used in the clerestory of the brewery’s Liquid Center tasting room and Brew House, as well as for the monitors inside the brewery’s production area. The look is striking and in line with New Belgium’s philosophy of creating a welcoming workplace. By introducing diffuse natural daylight into a commercial setting, the space not only becomes more energy-efficient, but also more productive. The result? A sustainable facility with a local flavor and a sleek, industrial-style design twist that is representative of both New Belgium and Asheville’s River Arts district. OPEN FLOOR PLAN The brewery was designed to be a vibrant workplace by using natural daylight. Perkins+Will also incorporated the brewing equipment into their design. Park Town Centre, Cliffside Park, N.J.
Classically inspired modernism was the design intent in the plans that Edgewater, N.J.-based Virgona + Virgona Architects developed for a luxury mixed-use complex in Cliffside Park, N.J. SlenderWall precast panel assemblies allowed designers to offer a natural-stone appearance and easy detailing to create decorative reveals and projections. The panels combine an exterior precast panel with a vapor barrier, closed-cell foam insulation and galvanized interior framing studs into a single assembly. Once they were craned into place, interior finish work could start right away. The new Grezzo stone panels are available in a range of panels sizes, enabling greater design and customization options. Inspired by coastal Italy, it is available in three finishes that take their names from sunny Italian beaches: Principe (shown here), San Domino and Sabbie Nere. Architects with Cleveland, Ohio-based Vocon were creating a streetscape, not just an apartment building, with their plans for The Quarter, a $60 million, mixeduse housing/retail development in their hometown’s Ohio City neighborhood. Varying shades of OmegaLite ACM panels help define the shifting depths of the building’s façade. In all, more than 27,000 sq. ft. of the material in four finishes were installed using the manufacturer’s one-piece, tight-fit system. Pyramid Glass, shown in Azure Blue, is available in 15 pearlescent colors. Designed for large-scale façade applications, panels of the three-dimensional glass material can be ordered in sizes up to 6-ft-6-in. x 11-ft. It can be installed against other wall materials or used as a partition. Supported by manufacturers, utilities, industry experts and academia, the Smart Water Networks Forum (SWAN) is driving awareness and adoption of data-driven solutions in the water and wastewater sectors. As global water challenges continue to mount, the forum is actively promoting technology and smart water solutions to support the need for more resilient cities. In our water savers’ coverage, Brown and Caldwell is the newest company to lend its water infrastructure planning and design expertise to SWAN’s expanding resources. The full-service environmental engineering and construction firm recently launched BC Blue, a smart utility approach to efficiently manage and operate water, wastewater and stormwater utilities. The program equips endusers with tools, user-friendly interfaces, improved data quality and artificial intelligence-enhanced analytics for enhanced utility performance. Ideal for deck-mount faucet installations, Jacuzzi introduces the oval-shaped Amalia and rectangular Adatto. Both provide a wide enough deck for most tub fillers. Designers can combine stone sinks, wood drawers and steel or wood shelving in unlimited arrangements to create bath consoles and stand-alone storage systems. Spaciously designed, the Adina vanity is defined by its clean lines. ADA compliant, both dark cherry and glossy white finishes deliver a nice aesthetic. Leveraging Amazon-, Alexa- and Google Assistant, VoiceIQ technology enables users to voice activate a sink to dispense the exact amount of water needed. Duravit’s Brioso collection offers innovative mirror features, flexible finishes and smart storage with openshelving, matching cabinets and varying sizing options. At just 1.0 gallons per flush, the Palermo II is ADAcompliant with a chair-height bowl that is compact and elongated for enhanced comfort. While there’s no common theme in this month’s selection of daylighting products, each offers its own useful solution for architects. For starters, a new set of GREENGUARD-certified blackout and light-filtering fabrics from Phifer are a great daylight control option. Meanwhile, the LightFlex LED from Sunoptics is a daylighting/LED hybrid, tapping into energy savings while maintaining required light levels. Finally, a Chicago parking garage was transformed from a boring concrete structure into an attracting translucent façade. Offering two low-cost options to architects seeking high-quality window blinds, Phifer introduces two new blackout and light-filtering SheerWeave fabrics. Style 7200R combines total light blockage with a neutral, yet subtly variegated pattern while the 7250R offers light filtering. Meanwhile, the 7700R features a soft, textured pattern in both blackout and light-filtering options. The new offerings are certified to GreenGuard standards for low-chemical emissions into indoor air during product usage. In seeking to hide its unattractive concrete cladding at the Spoke Apartment Complex parking garage in Chicago’s River West, and enabling it to blend in to the attached residential tower covered in glass and brick, Fitzgerald Assocs. Architects specified 17,430 sq. ft. of Kingspan Light + Air | CPI Daylighting’s Pentaglas cladding. The green matte glazing is not only attractive, but it facilitates the movement of daylight and natural air in and out of the garage, and helped put the mixed-use development on track to earn LEED Silver certification. With integrated tunable-white LED and lighting controls, the LightFlex LED delivers a hybrid of natural and electric light from the same luminaire. The system delivers color uniformity and the benefit of natural light throughout the day. Together with Sunoptics’ nLight controls, LED lighting is only used when necessary, thereby delivering energy savings. Belden has introduced their version of “linear” to the Clay Segmental Paving market. Belden has always shown great pride in bringing products to the market that are beautiful and long lasting. With the ability to produce this product out of two plants Belden offers many beautiful color combinations. Concealed and exposed fastener wall panels to fit all your design needs. INT EL LIGENT. ENDURING . FACADES. The new gardeners believed in the power of inspiration; faith that if the intention is good, you can accomplish anything. A Force of Nature Founder of Los Angeles’ Better Buildings Challenge, Ben Stapleton is now the executive director of USGBC-LA chapter. He skillfully yokes the pervasiveness and patience of Mother Nature to create consensus and demonstrate how green building makes economic sense. Ben Stapleton, chief partnerships officer, LACI, brings a creative mind and consultative approach to real estate advisory. The Urban Agriculture cluster initiative was aimed to educate people about how to grow food in an urban environment using less water, energy and waste. The garden gave people a place where they could envision the future as something different, and expose kids to the green technologies of the movement. With 5 beautiful collections to choose from, you’re sure to find the perfect match for your project! Hanover’s Porcelain Paver collections feature new colors and sizes only available from Hanover Architectural Products. Itâ&#x20AC;&#x2122;s time to fill in the blanks. With shades + glazing. For performance. For occupant comfort. For aesthetics. For a complete complex glazing system. Integrating shading builds on the performance of glass, allowing your buildings to achieve performance goals unattainable with glass alone while delivering on your precise interior and exterior design intent. Fill in the blanks by taking our new CEU at mermetusa.com/advancingfenestration.